Paradise Lane, Bear Mountain, Salisbury, Connecticut. I haven’t done the hike from Salisbury to Bear Mountain for a number of years. 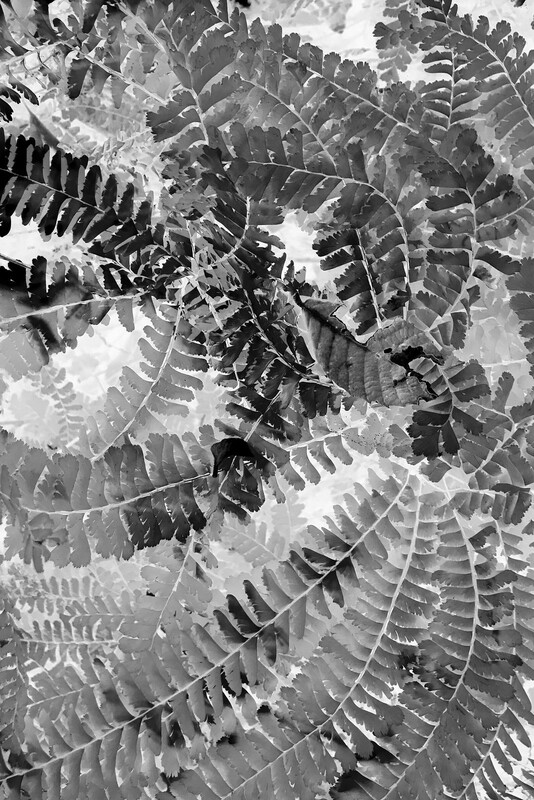 It was nice to find this familiar fern grove as I’m sure I’ve shot it before. Perfect day for a hike and for photography as well (overcast). But, I’m out of the habit of doing a lot of picture taking so I only took four images, two of which were terribly out of focus. 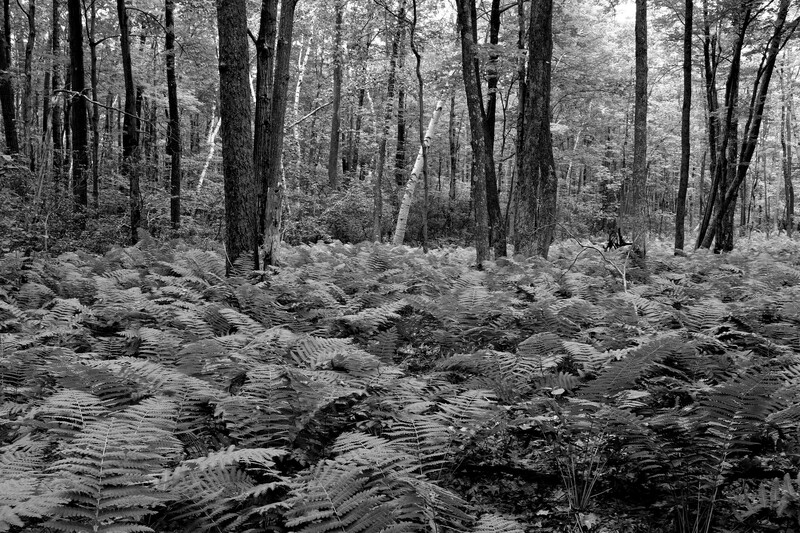 We hiked from Salisbury, Connecticut up over Lion’s Head and over to Bear Mountain and back (about 11 miles round trip) and this fern was one of many varieties on the trail. This is a great hike if you’re ever in the area, loaded with lots of great trees, mountain laurel (in season), ferns and more. West Cornwall, Connecticut. Hiking along the Appalachian Trail with the Housatonic River behind me. 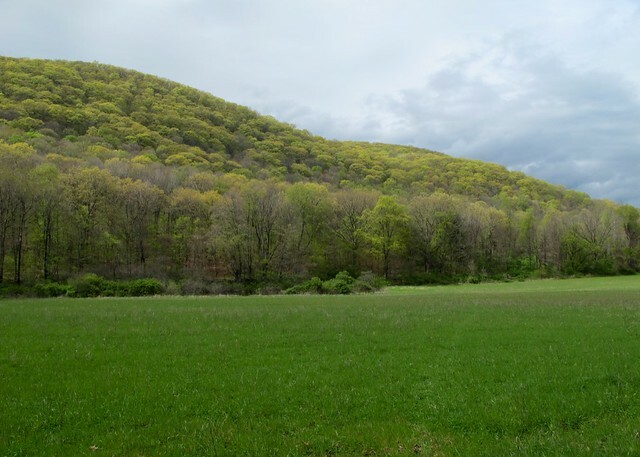 This field and these hills are coming to life so fast they seem to have changed colors in just a few days. Of course with the march toward summer comes the march of insects in New England. I guess it’s worth it but when they’re buzzing in your ears you think fondly of winter. Both of these images were taken with a Canon G11 “pocket” camera. 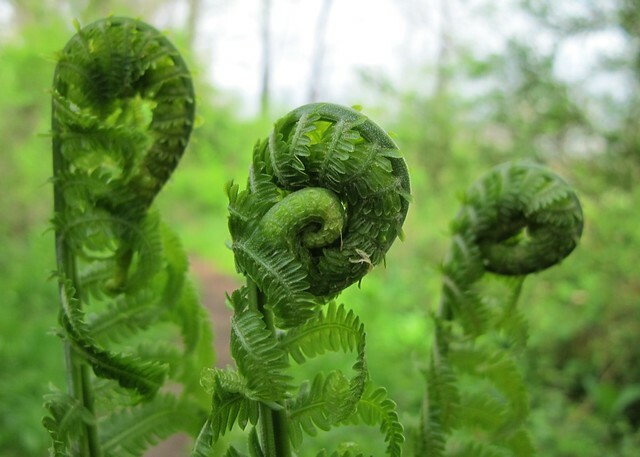 Ferns of all types are opening so fast now they’re only in this embryonic "fiddlehead" state for a few days. Pasadena, California. The Huntington Garden. 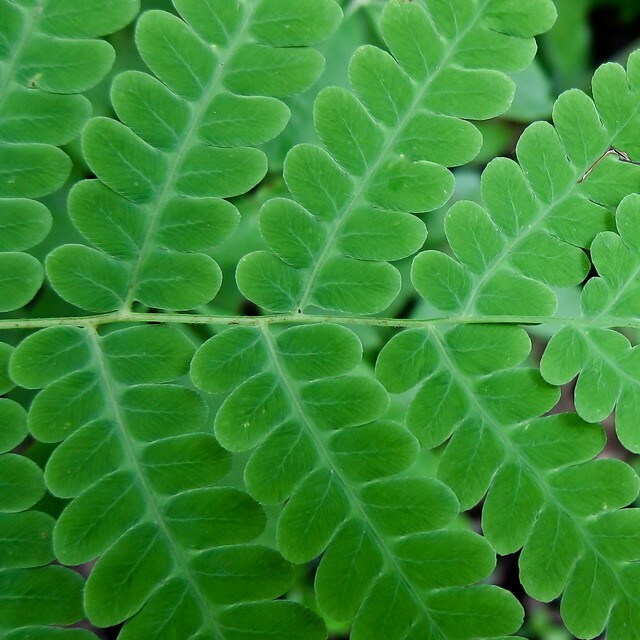 This fern has an interesting embossment on it that reminds me of the stitching on a pair of jeans. I wonder what purpose the embossment serves on the leaf structurally. Could it be like the "creases" in the sheet metal of car bodies, put in to give those large expanses of metal more strength? Or maybe it has to do with guiding water down the leaf to the roots. Could it be that these bumps are caused by insects who, in some symbiotic way help the plant? I also wonder where the embossment came from in the evolution of this plant, and where it is going. After all, a photograph of a plant is a snapshot in evolutionary time: a single frame in a long life history linked to many others, or should we say "stitched" to many others. Our ferns have been drying out and turning for a while now but today they seem to be at just the right state of translucency for the backlight of the sun to make them glow. Note: I rented a Canon EF 180mm f/3.5 L Macro to test out. I’m liking it quite a lot actually although this shot is not a good example of what makes it shine: color and incredible bokeh coupled with great compression from the longer focal length.